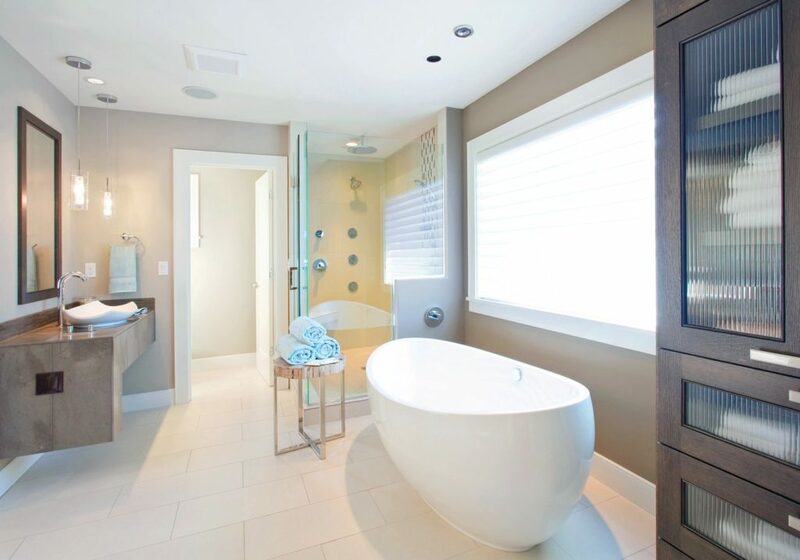 Residential bathroom design has experienced a major transformation in recent years. In the past, the space was designed as a functional room that contained a toilet, sink, and shower/tub. They were often drab and boring. People did not spend a lot of time in the bathroom. The aesthetic appeal did not factor into the equation. In essence, the bathroom was a place to get in, get out, and move on with your day or evening. However, times have changed. Real estate is expensive to say the least. It has become necessary to make the most out of each and every space in your home. That certainly includes the bathroom. It is now a room that many of us use to relax and pamper ourselves. The bathroom should function as a home-based spa so to speak. Form is now just as important as function. The good news is that there are some simple and cost effective projects that you can do to update your bathroom. So without further ado, here are the top three (3) bathroom design trends for 2018. Nothing says old and outdated more than a shower curtain or one of those old school shower doors that were popular thirty plus years ago. However, frameless glass shower doors can make any bathroom look just like a high-end spa. They also serve another important purpose. 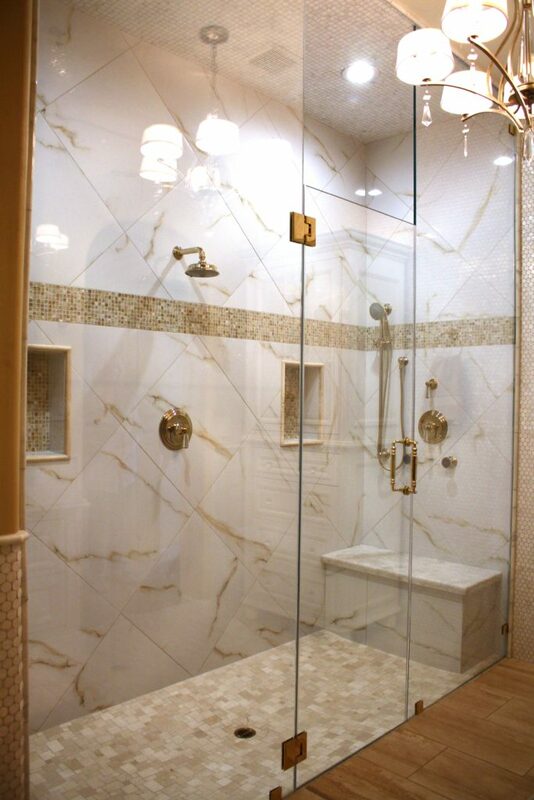 A frameless glass shower door enables the space to look larger than it actually is. Typically speaking, the bathroom is one of the smallest rooms in the house. That means you must get creative in order to make it look and feel larger without having an addition built, or undergoing a major renovation. Installing a beautiful frameless glass shower door is fast and affordable. It will also provide your bathroom with a luxurious appearance. Technology has made it possible for tile manufacturers to produce a plethora of interesting new designs. 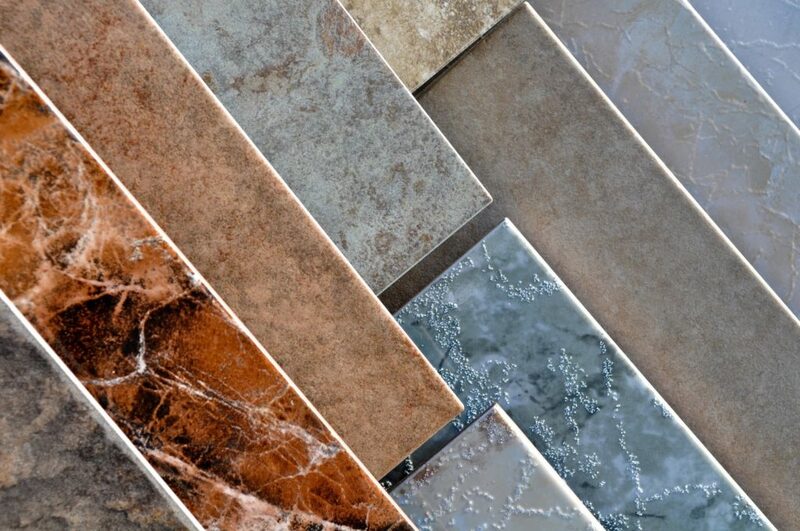 Tiles now come in a variety of colors, shapes, and sizes. They provide homeowners and designers with the ability to be more creative than ever before. Tiles should be used to cover other surfaces in the bathroom in addition to the floor. Eye catching designs on the bathroom backsplash, shower surround, and even the ceiling go a long way in making your bathroom look like it belongs in a palace. Brass and gold colored fixtures have been making a big splash recently. The trend will continue to grow in 2018. These classic finishes, combined with modern fixture designs, will help update any bathroom. The rich color tones add the perfect amount of depth to small spaces. They are an excellent compliment to most paint and other finish material choices as well. Updating faucets, toilets, and hardware to brass and gold colors is a fast and cost effective bathroom project. 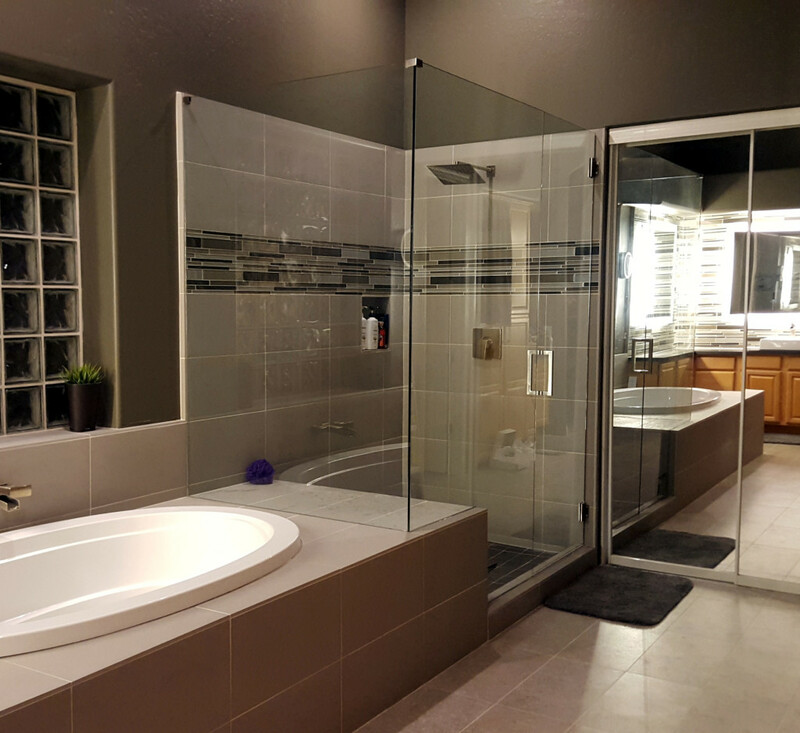 A Cut Above Glass is the leading designer and installer of frameless glass shower enclosures in Scottsdale, Arizona and surrounding areas. Please contact us today for an initial consultation regarding any and all of your glass related needs.